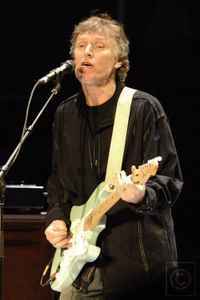 Steve Winwood (born 12 May 1948, Great Barr, West Midlands, England, UK) is an English songwriter and multi-instrumentalist. Winwood was a member of The Spencer Davis Group, Traffic, Blind Faith (2) and Stomu Yamashta's Go before embarking on a successful solo career in the late 1970's. Brother of Muff Winwood.